2019 is all about sustainability, so keeping your pallet neutral will create a classic, yet trendy environment. 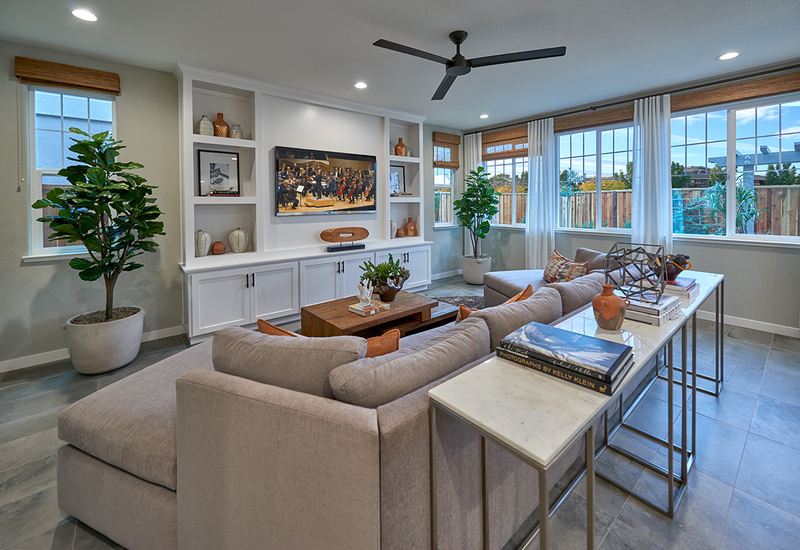 Our community in Sacramento, Entrada, highlights this natural palette in its Residence 3 model home. Earthy colors and natural materials make the perfect canvas that you can later dress up with textures and colorful accents. 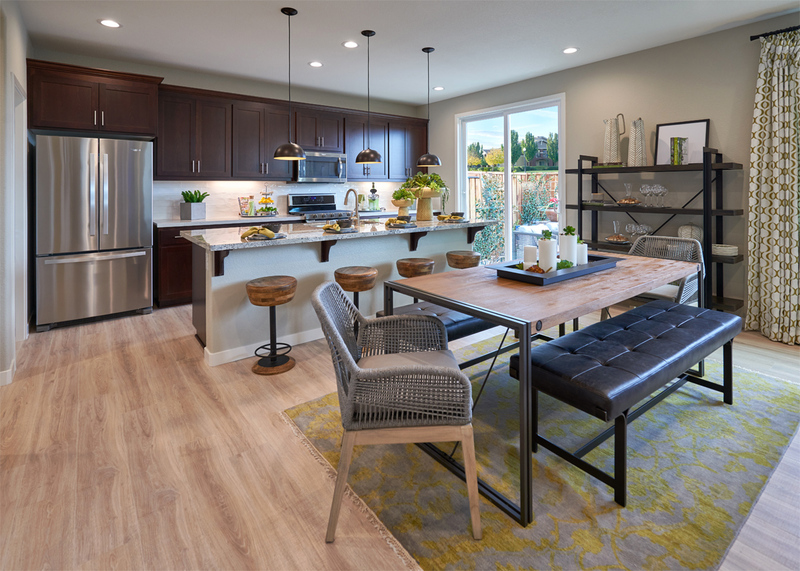 Following the trend of natural materials, wood finishes stand on their own because of their ability to instantly create a warm feel, as seen here in the Entrada Residence 2 model home. After a full day interacting with technology, wooden accents and finishes, like in this kitchen, will provide you with a calm environment that is also timeless. To bring a neutral color palette to life, go for anything that looks like a handmade piece of art. Detail is what makes any space look upscale. 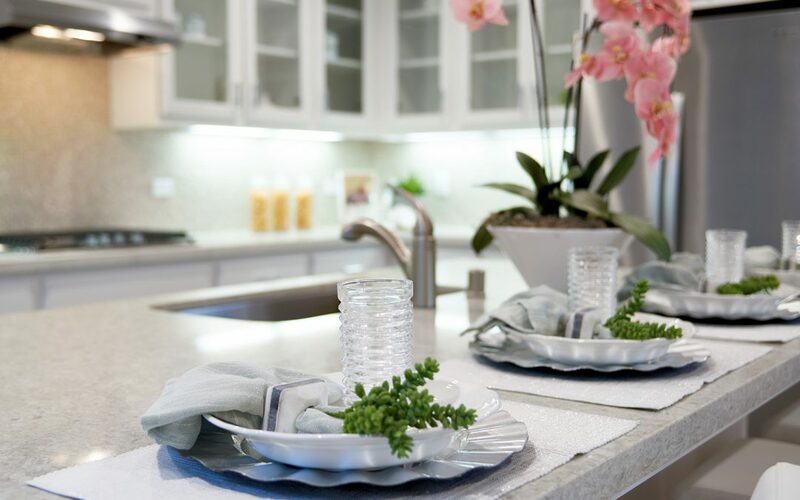 At Signature Homes we believe the details make all the difference in making dreams a reality, so each residence is equipped with unique elements. 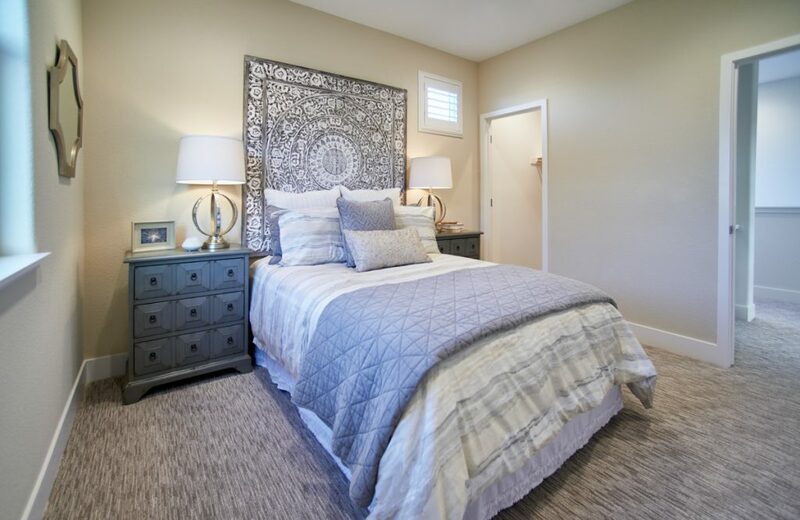 Check out the Residence 3 model at our Livermore community, Centra to see how an interesting headboard can give a neutral room the character it needs to feel cozy. 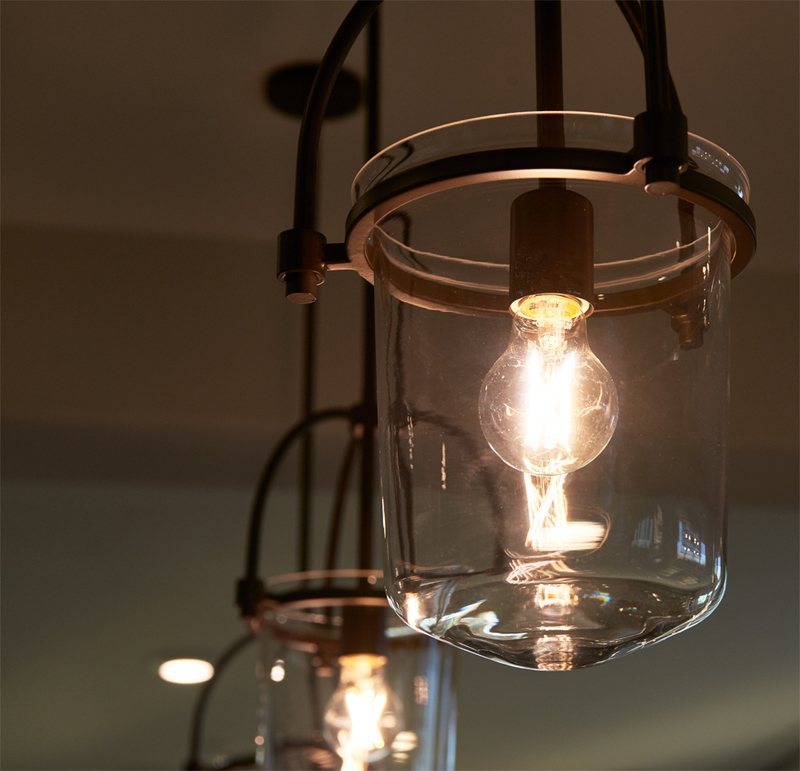 Or get inspiration from our artisanal light fixtures at the Wildrose model in our Mountain House community, Alta. If bold colors are your thing, patterns are also a top trend this spring. 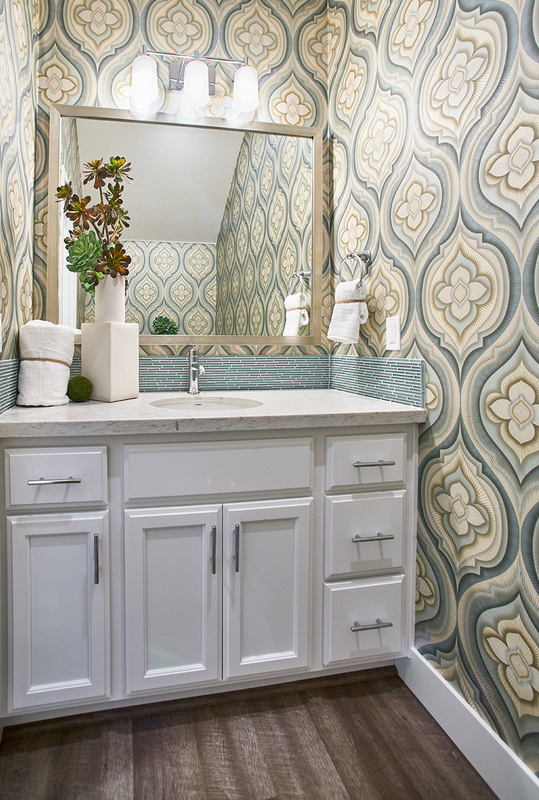 Our Savannah II community in Mountain House boasts a great example in the Residence 1, showcasing a lot of character with a patterned wallpaper in a straight-forward space like a powder room. You can elevate patterns even more by combining together different styles, but make sure to keep them in the same color palette for a perfect visual balance. 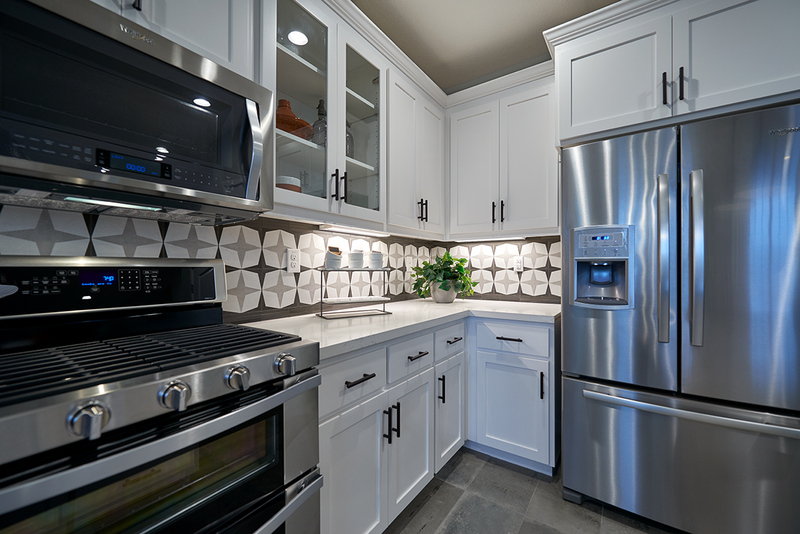 Geometric tiles are an easy way to add a pop of color into a room and make it look sophisticated. We’ve used a bold, geometric shaped backsplash in our Entrada Residence 3 kitchen, and paired it with neutral furniture and appliances, for a very cohesive look. When you move into a Signature Homes community, you can find many of these trends already incorporated into your new home in a timeless way. Tour our models today to see these stunningly decorated spaces for yourself.